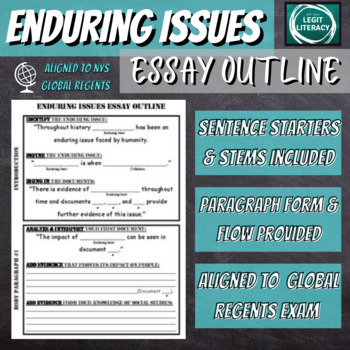 This outline is specifically designed to align to the NYS Global History & Geography Regents Framework Examination to be unveiled in June 2019. This serves as a pre-writing outline for a variety of student types (i.e. 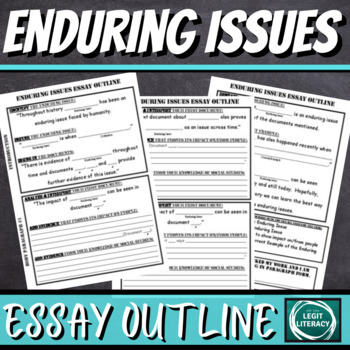 ELL, SWD, students that struggle with writing) who are learning this new type of essay. 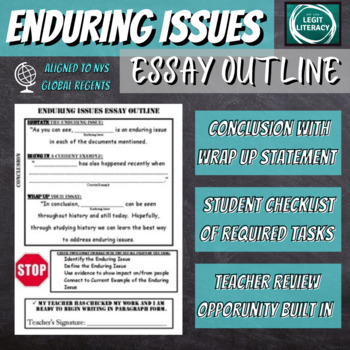 The pre-writing organizer is intended to increase confidence and give students a starting point for writing this type of essay. 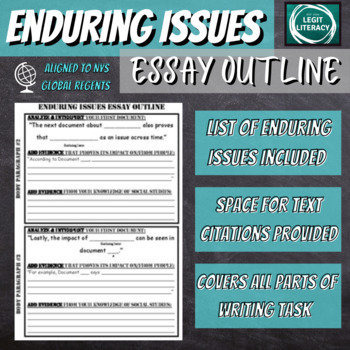 Throughout the outline the purpose/goal of each paragraph is included in dark bold (i.e. "Analyze/Interpret First Document"). The sentence starters and stems are relatively simple. This organizer is intended to at least give struggling students in Global a strong chance at a score of Level 3, but NOT guarantee a Level 5. If the organizer works for you - please write a review and send your co-workers here to buy their own digital version!